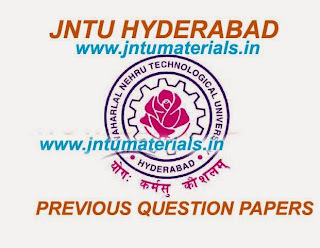 Here are the JNTU Hyderabad B.Tech 1st, 2nd, 3rd, 4th Year 1st and 2nd Semester Previous question papers of all branches. Here you can find all the question for the exams held in the academic year 2011. By clicking on the exam name, you can download all branches question papers. Note: If any question papers is missing please, notify me below as comment.. we will update them as earliarly as possible.